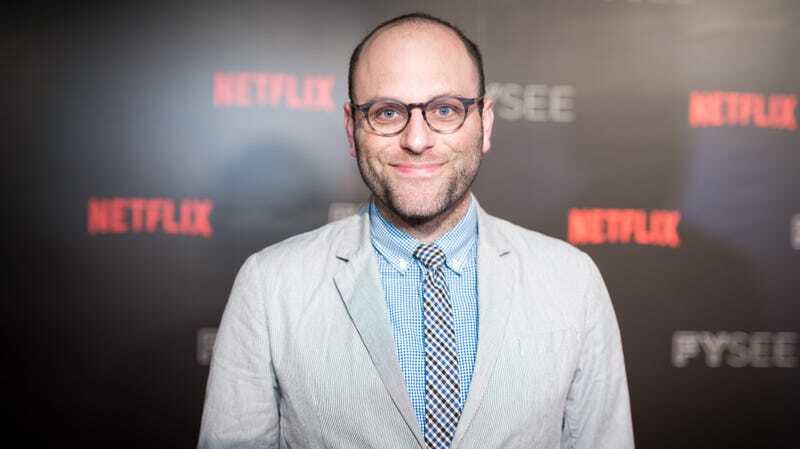 Raphael Bob-Waksberg says writing a new season of BoJack Horseman "always feels impossible"
Each new season of BoJack Horseman is usually accompanied by an avowal from fans to consume the whole thing as quickly as possible, mental health and circadian rhythms be damned. But the fifth season might be the most talked about outing for Raphael Bob-Waksberg and his team of writers—the newest episodes resonate all the more thanks to their sophisticated handling of the Time’s Up and #MeToo movements. Season five ends with BoJack (Will Arnett) checking into rehab after his latest downward spiral—while high on painkillers, a sleep-deprived BoJack attacked his Philbert co-star Gina Cazador (Stephanie Beatriz) on set. Although it’s clearly a step forward for BoJack, the mood is considerably less optimistic than in that of the season-four finale, “What Time Is It Right Now.” So how do BoJack and BoJack Horseman come back from that ending? Even Bob-Waksberg isn’t sure, and he writes the damn thing. But, as he tells The A.V. Club, creating a new season of a show that’s usually binge-watched despite his own recommendations always seems impossible. The A.V. Club: There have been some rumblings—mostly on Twitter—about new writers joining the show, though Netflix hasn’t announced a sixth season yet. Are you guys back at work? Raphael Bob-Waksberg: Netflix has not announced a sixth season yet. I think we can leave it at that. Yeah, that’s the answer that I can give you at this point. AVC: Do you think it’ll be harder to write a season premiere after a finale like “The Stopped Show”? Technically, you could reset as you please, but if you don’t, how do write an episode that can follow that season-five finale? RBW: Oh, I don’t know. It always feel impossible to me. [Laughs.] Every time I have to make another episode of this show, it’s a nightmare. In theory, I’m always happy to do more, and I really enjoy having done it, but I don’t know how to do it. We’re now five seasons in, and if you said, “How do you make a television show?” I couldn’t describe it. We just came out with a book called The Art Before The Horseman that I would recommend if you’re a fan of the show, because we go into detail on how an episode of the show gets made from the writing, through the animation, every step of the way. I describe thoroughly how I make this show—and I still have no idea how to do it. Every time I’m looking at a blank white board, or a clean white sheet of paper, or a blank computer screen is a total nightmare, and I take no comfort in having done it before. If anything, it gets harder every season just because of the pressure of “oh, people still like it for some reason.” Well, I always think this is the season that’s really going to let people down, and I’m always astonished and terrified that people still like it. I go, “Okay, next season, now the pressure is even higher.” So, I don’t know if I would say this is a particularly hard show to think about moving forward because this show has always felt impossible to me.